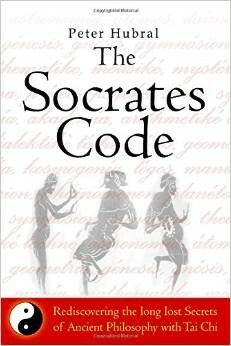 Produktinformationen "The Socrates Code: Rediscovering the Long Lost Secrets of Ancient Philosophy with Tai Chi"
What do the Ancient Greek terms astronomía, átomos, kósmos, geometría, idéa, planétes, práxis, psyché, mousiké, sympósion, theoría, and so on have to do with today's concepts as astronomy, atom, cosmos, geometry, idea, planets, practice, psyche, music, symposium, theory? Answer - today's words have nothing at all in common with the Socratic originals, but rather find their counterparts in the teaching of the Eastern philosophy of Tai Chi. In the Socrates Code, Peter Hubral sets out a meticulously researched and convincing case that much of Western Philosophy is founded less upon the Ancient Greek texts, as on a careless and ahistorical misreading of them, for which he provides a rigorous revision. Take a look at the author´s biography here. Weiterführende Links zu "The Socrates Code: Rediscovering the Long Lost Secrets of Ancient Philosophy with Tai Chi"